Founded by Victoria Coghlan and Luke Oldfield (son of Mike Oldfield), Gypsyfingers is a "trip-hop and folk influenced ethereal pop that delightfully doesnt fit into any existing musical pigeonhole" (R2 Magazine). Their debut album Circus Life was praised for being "a record with a freewheeling spirit, full of gentle persuasion and wonder" (God is in the TV) and "a powerful and honest artistic statement: one which I believe heralds the beginning of something rather special. 'Stranger Things' is the second album from Gypsyfingers and sees the ethereal folk-rock duos sound blossom as they transition from duo to band after three years of touring in the UK and Europe with band members Patrick Kenneally & Tali Trow (The Lords of Thyme, ex Circulus) and Simon Hedges (Airbus). Stranger Things was recorded at Tilehouse Studios, a vintage recording studio originally built for Mike Oldfield and where records such as Five Miles Out and Moonlight Shadow were recorded. 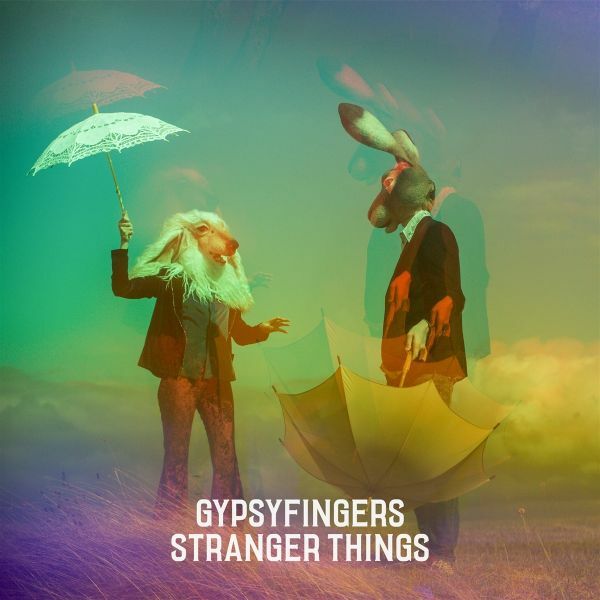 Stranger Things picks up where 'Circus Life' left off as Gypsyfingers continue to fuse genres together blending folk-rock, 70s pop, acoustic americana & prog, exploring sonic textures and soundscapes along the way.